No, it’s not the plot of a mini-series written by Cullen Bunn! 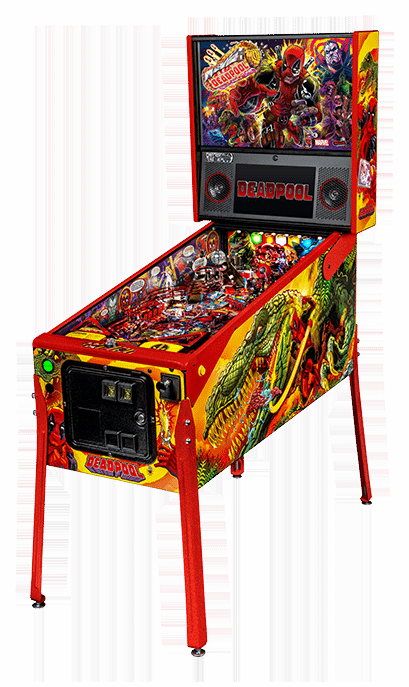 Deadpool is getting his own pinball machine, courtesy of Stern Pinball, and as revealed in a press release Wednesday. 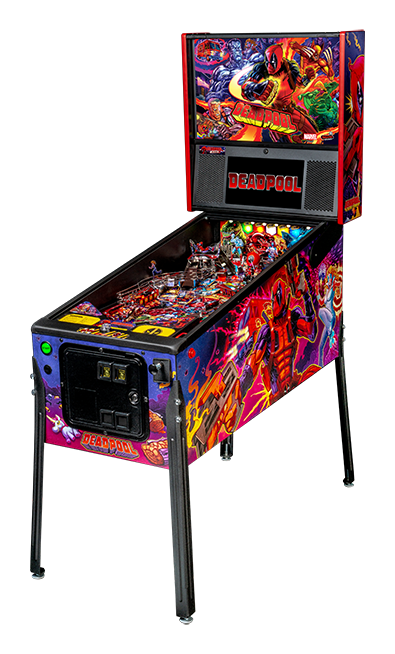 Stern Pinball, Inc., a global lifestyle brand based on the iconic and outrageously fun modern American game of pinball, proudly announced today the availability of a new line of pinball machines celebrating Deadpool, the popular American comic book series published by Marvel Comics. 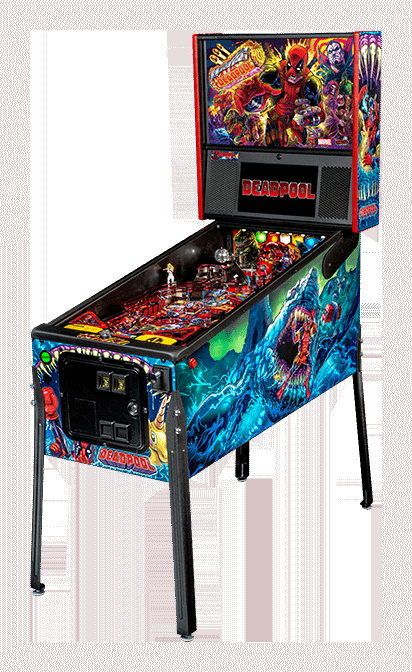 Deadpool pinball machines will be available in Pro, Premium, and Limited Edition models. “Deadpool” is known as the “Merc with a Mouth” because of his talkative nature & is notorious for his outrageously funny offbeat humor which is featured throughout the game. The machine features art by Zombie Yeti and voice acting as the titular Merc with a Mouth by Mouth Mercenary… er, voice actor Nolan North. Each game features a 3-bank drop target with a ball lock that’s guarding a custom molded Lil’ Deadpool bash toy target. In addition, all models include two stainless steel and wireform ramps with a Katana Sword ramp return. 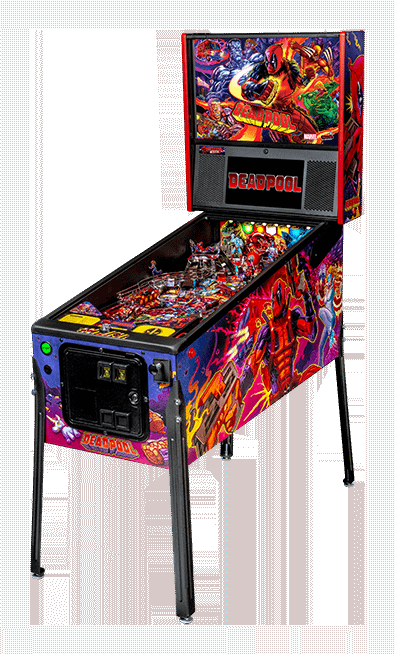 Deadpool pinball entertains with an amazing array of ninjas, vampires, and chimichangas, making it suitable for all skill levels. 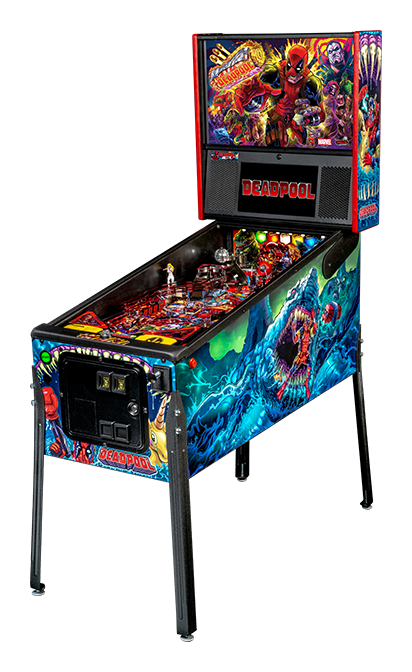 The Limited Edition, limited to 500 units globally, includes additional unique features such as an exclusive mirrored backglass, anti-reflection pinball glass, shaker motor, exclusive art blades, and powder-coated metal flake Deadpool Red side armor, hinges, and front lockdown molding. All LE models will include a 12″ Vinyl LP featuring 11 original music tracks with cover art by Zombie Yeti. Sounds great! How much will one of these set you back? Okay, so about the price of a used automobile. Got it. Head to Stern Pinball for more info.